Poverty in India is a reality that cannot be overlooked and the children of the streets are some of the worst victims of it. 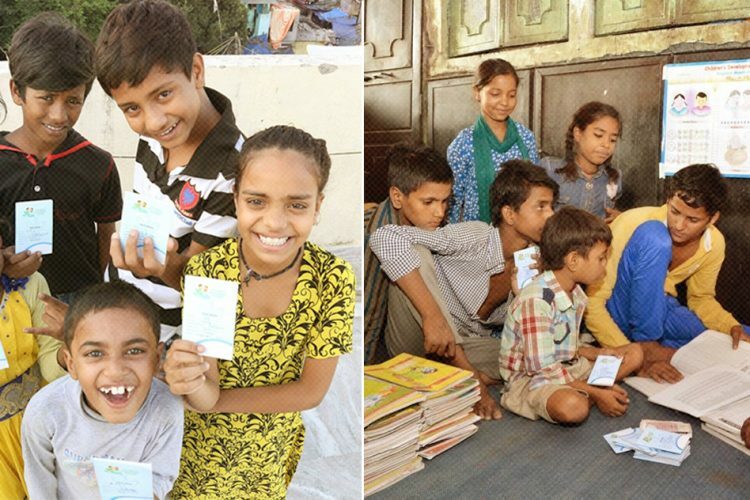 While the nation has been making tremendous efforts to get its children educated under the Right To Education Act, street children are often overlooked and sometimes even forgotten. 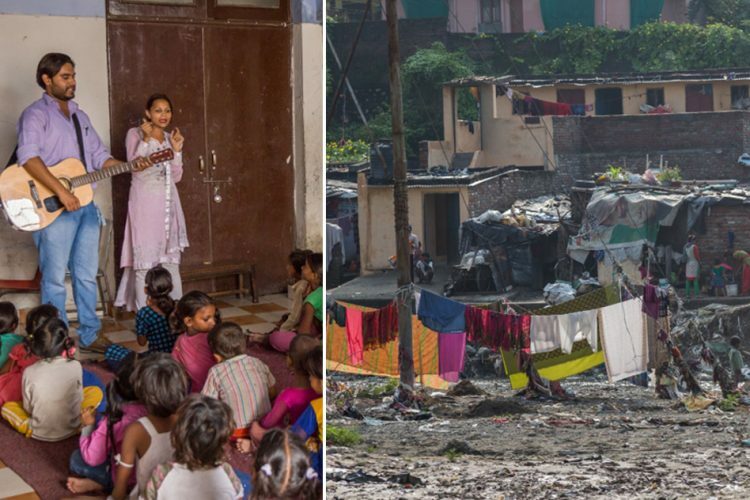 From lost childhoods to substance abuse and abject poverty, school, for India’s invisible children is far from reality. 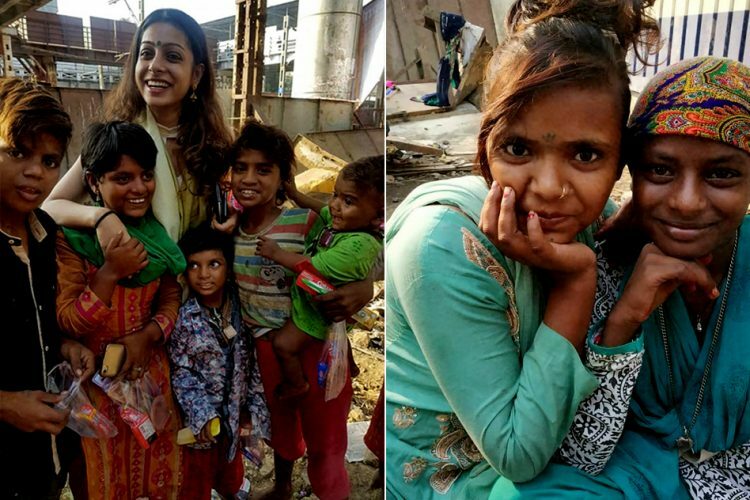 While many of us wonder about the future of these street kids, a 22-year-old woman from Mumbai decided to do her bit to help change their fate. Haimanti like many others wondered if the children loitering near the train stations ever went to school. Upon inquiring she realised that while some have been to schools for a short duration, many others did not even know what a school is. Determined to make a change, Sen took it upon herself to educate the children and equip them with the necessary skills to help them get enrolled into one. 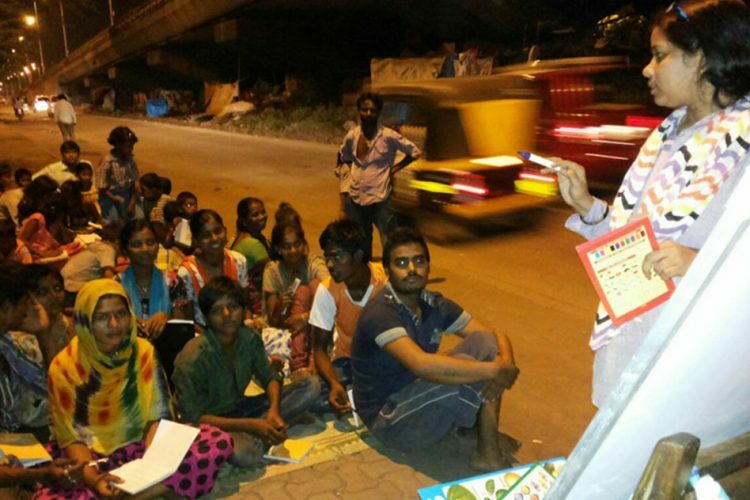 Today, Haimanti Sen runs a unique ‘school’ atop the Kandivali station skywalk where she teaches 15 kids. Not only that but to provide a holistic learning experience for these neglected children, Sen recently founded an NGO, Junoon, which strives to provide such children with an environment where they can grow to live up to their full potential. Talking to The Logical Indian, Sen said, “When I started my initiative in May 2018, the children were initially very reluctant, but I understood that they were fascinated by the English language and were eager to learn.” Sen, who was a drama teacher then, started visiting the skywalk every alternate day at around 3 pm where she taught alphabets, basic arithmetic and cognitive skills to them. During the process, she learnt that most of the children, even if enrolled in government schools, drop out after a few months or years. Overwhelmed by the environmental condition, poverty and social setting, the children miss out on a ‘normal’ childhood. It becomes difficult to retain these children in school owing to their long periods of absence. Unfazed by such an omnipresent challenge, she kept teaching the children all by herself. Their daily progress inspired even further, so much so, that in November, she decided to quit her full-time job and dive into the world of social development. What started as a solo initiative in May has now blossomed into an eight-member strong team with the NGO, Junoon. From November onwards, Sen, accompanied by either volunteers or one of the board members, started visiting the skywalk every day where they taught the kids for an hour and a half. The curriculum, which is still in its experimental phase, pivots around teaching Hindi letters and alphabets, basic mathematics, developing cognitive skills and stimulating extremely impressionable brains to steer it into the right direction. She said, “We try to teach them basic manners like saying ‘yes ma’am’, responding to roll calls, behaving while in a classroom setting among others.” The children in Sen’s classroom are between the ages of five to 12. While no child had been enrolled in school yet, Sen is confident that some of them are absolutely ready and hopes that this is the year that they make a breakthrough. However, putting them into school is not the ultimate goal here, Sen said that with her NGO, she wishes to develop a conducive and sustainable structure where she can be of help to these children for the years to come. Taking a break from serious learning, Sen’s curriculum also has space for co-curricular activities just like in a conventional school. She said, “We try to educate children through art, music, dance, sports.” With these fun and quick exercises, these children get to experience what is rightfully theirs — a normal childhood, even if it is for a couple of hours in a week. The NGO even distributes food to the children after every session. Witnessing the joy in a child’s face when they finish a piece of art or get a dance step correct is all the motivation Sen needs to keep going. Sen’s initiative is completely self-funded, she said, and the organisation is open to accepting donations. 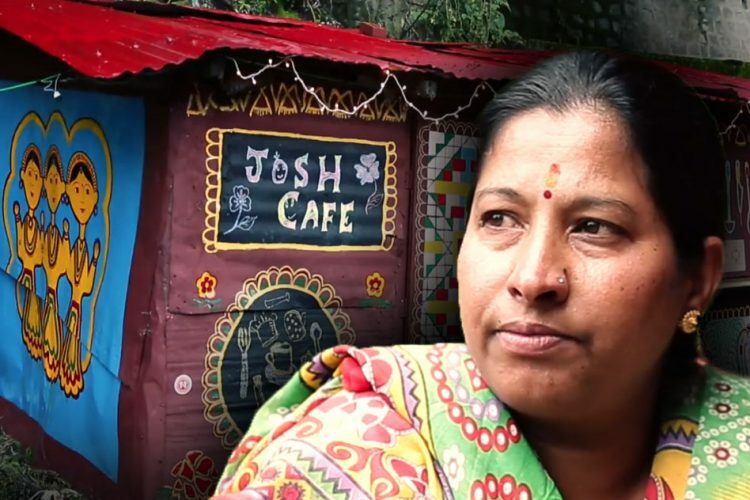 She said most of the children belong to the Pardhi community, which is plagued by poverty. With unstable conditions at home, an uncertain future and lack of basic amenities like food, clothing and shelter, the families are forced to live on the footpaths of one of India’s most expensive cities. Adults, who are unemployed in most cases, push their children into begging. She further said that the children have normalised crime and wrongdoings and this is exactly what she wishes to change. Haimanti Sen decided to do something about a problem which is witnessed by us on a near-daily basis. 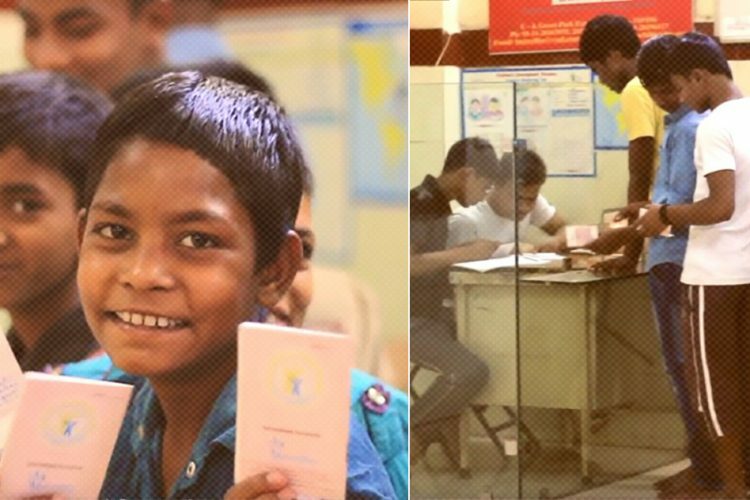 She dared to create a change, she dared to dream — dream of a better future for the street children of Mumbai. The children who are ignored, neglected and forgotten would not have dared to dream of going to school if not for Haimanti. The Logical Indian would like to applaud Sen for her contributions.